Al Ain's run to the Club World Cup final against Real Madrid is but a distant memory. The Arabian Gulf League makes a welcome return following a frustratingly long break this week, with plenty at stake including a thrilling title battle set to resume. Just three points separated the top three at the start of play on Monday as teams looks to shake off the cobwebs caused by the hosting of both the FIFA Club World Cup and Asian Cup in the Emirates in recent months. HOW DO BOSS MANAGE MAMIC MISERY? 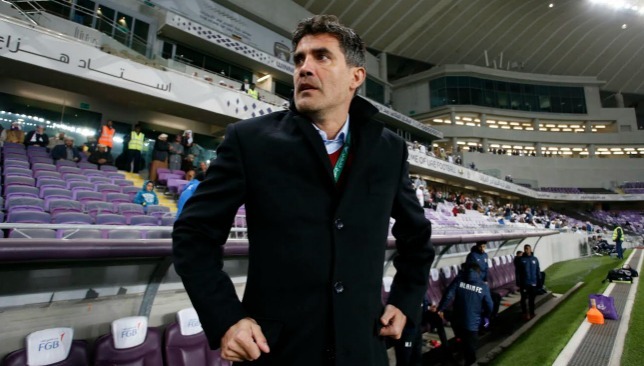 Zoran Mamic has left Al Ain for Al Hilal in Saudi Arabia. Interesting times ahead for Al Ain. What can we expect of the Boss following the departure of boss Zoran Mamic to Saudi Arabian giants Al Hilal? Not only has the Croatian sought pastures new following the end of a two-year deal with the Garden City outfit, but two of the club’s stars have uprooted too. Egypt schemer Hussein El Shahat has been bizarrely sold to Al Ahly in his homeland while brilliant Brazilian winger Caio agreed to terms with Portugal powerhouses Benfica in the summer. In the midst of a tantalising title tussle with Sharjah and Al Jazira prior to the Club World Cup and then Asian Cup taking precedence in mid-December, it will be intriguing to see how the trio manage the future after a lengthy hiatus. But whereas Sharjah and Jazira are reconvening with their staff and players largely intact, there has been a total revamp at Al Ain and a cloud of uncertainty hangs over Hazza bin Zayed Stadium. Former Borussia Monchengladbach defender Zeljko Sopic and Ahmed Abdullah have assumed the reins from Mamic. Can they maintain a title charge? Jazira lost ground in the title race on Monday after they lost to Shabab Al Ahli. 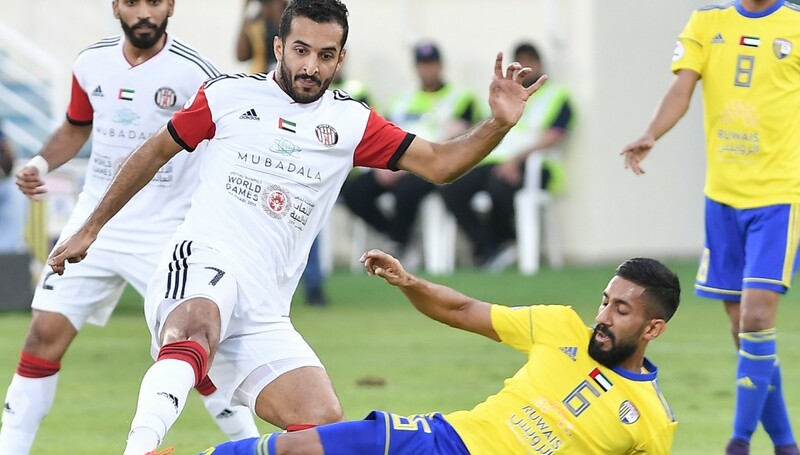 At first glance, Jazira’s slip-up against Shabab Al Ahli on Monday provides a glorious opportunity for leaders Sharjah and champions Al Ain to pick up points and open up some daylight in the title race. Victory for the King – the only undefeated side in the AGL this season – against Al Dhafra would open up a six-point gap to the Pride of Abu Dhabi, while the Boss would put three points between themselves and the league’s leading scorers with victory at home to Emirates Club. But with the heavy distractions of the two aforementioned tournaments decimating the fixture list for the last two months, it is anyone’s guess as to how chaotic both sides’ preparations for the resumption of the league have been. The Boss’ plight is of course hampered further by the galling loss of Mamic. It is not quite the pandemonium of pre-season when players’ fitness levels plummeted. A lot of them featured at the Asian Cup while others have been ticking over at their clubs; they should just require fine-tuning. But of course they will need to refocus. We are only halfway through the season. There remains a lot of football to be played. CAN HENK HELP WAKE WAHDA FROM SLUMBER? 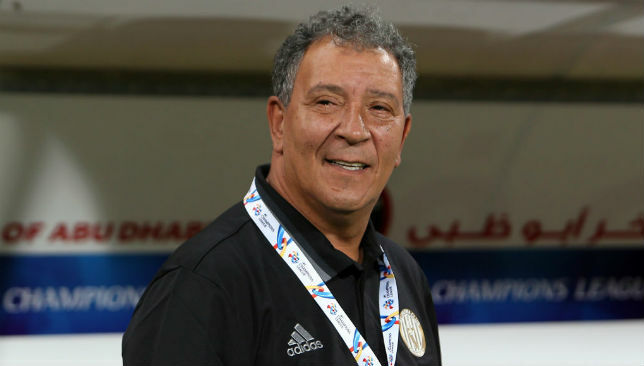 Henk ten Cate is back in the AGL, and in Abu Dhabi, with Wahda. 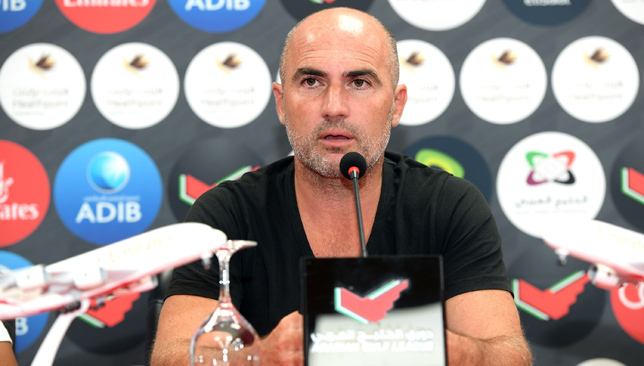 Sleeping giants Al Wahda seemed certain to mount a serious claim for a maiden league title in nine seasons at the beginning of 2018/19. But after the Boss were beaten to the Arabian Gulf Super Cup title in Cairo in August and the campaign opened with a scintillating 6-2 destruction of Ittihad Kalba, it’s been quite the fall from grace for the Clarets. They won their next two by a combined scoreline of 8-2 but then the wheels started to fall off for Laurentiu Reghecampf. Of their last nine league games, victory was savoured just twice as they spiraled away from the top of the table to currently sit sixth. Romanian Reghecampf was jettisoned following a 2-1 defeat to Jazira on November 23, which ironically has since led to the return of former Pride of Abu Dhabi coach Henk ten Cate to the capital. When the Dutchman arrived in Abu Dhabi in December 2015 he set about a revolution at Mohammed bin Zayed Stadium that led to 2016/17’s title triumph. He began brightly enough with Emirates put to the sword in a 5-0 Arabian Gulf Cup thrashing at the end of December. But Wahda are a mammoth 13 points adrift of table-topping Sharjah as they head to Kalba. But with former Chelsea and Barcelona assistant Ten Cate now at the helm, and in charge of arguably the most talented squad in the league, expect a shake-up of epic proportions.